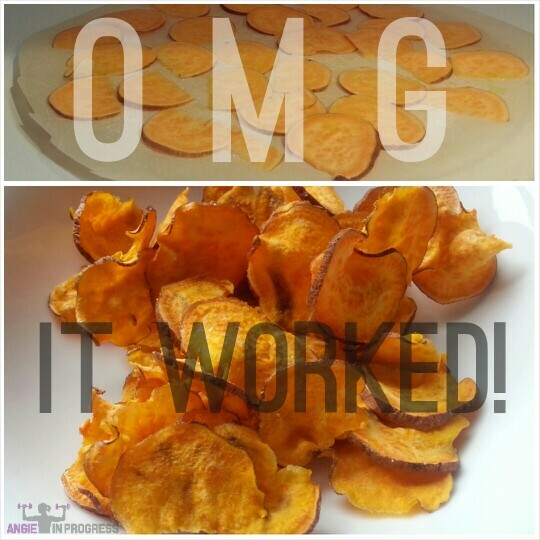 Sweet Potato Chips – in the MICROWAVE! OMG – WTH – LOL! So…I’ve seen the recipes for these a few times and thought, “NO way this would ever work!” That’s what you’re thinking RIGHT now…isn’t it?! Well, like me…you’d be wrong! This actually works! I was HIGHLY skeptical! But my husband was trolling Pinterest or something and insisted we give this a try. So, I got out my madolin slicer gizmo – which is just kinda fun to play with! This thing is CRAZY sharp, and I am known to be a walking disaster, so I wear the protective gloves lest I slice off a finger. 1 sweet potato – I didn’t even peel it! Directions: So I scrubbed, dried and sliced a sweet potato pretty thin, not see-through, but thin! I think it would be hard to get it right if you were slicing by hand, unless you are super skilled at knifery! You could also use a food processor with the slicing attachment. After I sliced them, I spread them out on a piece of parchment paper that I cut to fit on my twirly, glass, microwave plate (so that it wouldn’t get caught up as it spun around). Then, I sprayed them with the olive oil spray and sprinkled with sea salt. I microwaved them for about 4 minutes – but watch them as it gets close! When you see the edges start to curl, keep an eye on them and stop before they start getting TOO brown! It shouldn’t take any more than 5 minutes – TOPS! I took them out and let them cool for about 30 seconds. Like magic, they turned all crispy and delicious! I was stunned! Downside: You can only make a small handful at a time this way. So it’ll probably take a total of about 20 minutes to do the whole potato…unless you figure out a clever way to do more in one batch than I did. 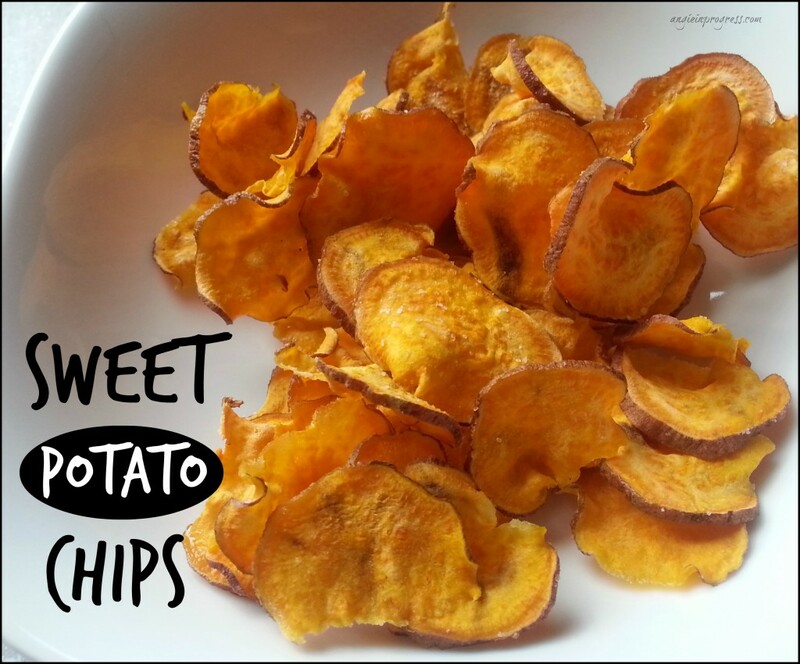 🙂 But for a tasty, crispy, salty snack that is practically guilt-free…this is worth a little effort! Previous PostPrevious Don’t Be Like ME!